Let’s talk about blueberries, shall we? I LOVE blueberries. Not only are they good for you, they are so tasty. 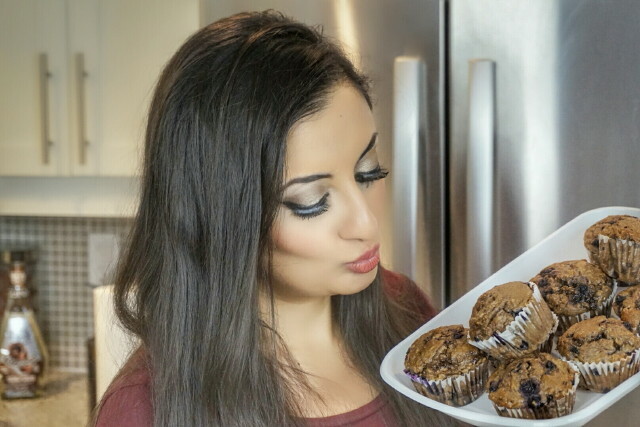 Blueberries are one of my favourite fruits and luckily for me, blueberries are easily available at the stores. If I can’t get fresh berries, I’ll stock up on frozen ones and use those in my smoothies, yogurts, or munch on them on their own. You can even use frozen blueberries to naturally sweeten your glass of water or adult drink! 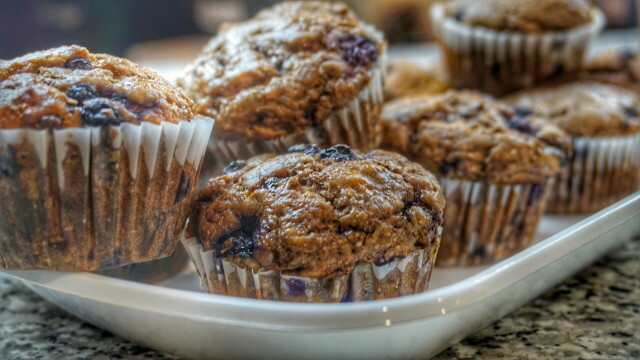 If I’m ever at a coffee shop and looking for a little snack, I always gravitate to the blueberry muffins but lately I feel like the muffins available are made with white flour (I never eat white flour unless I absolutely HAVE to) and sugar. 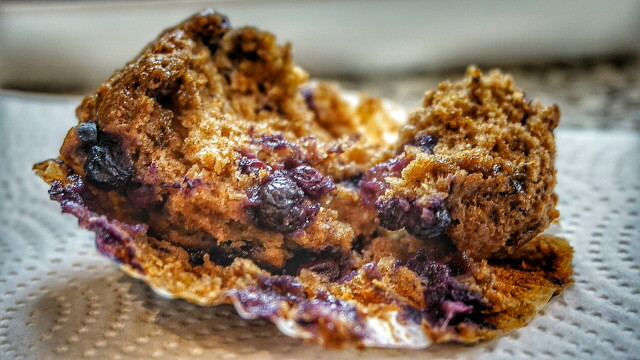 I don’t know why these restaurants are making these muffins so unhealthy—the berries are sweet enough on their own but what can you do. 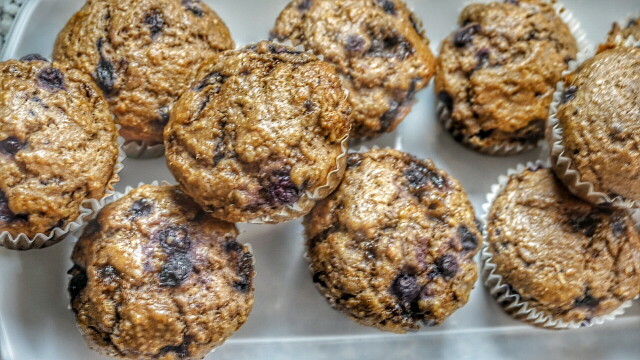 Since I was having a hard time finding healthy whole wheat blueberry muffins when I ate out, I decided to make my own! 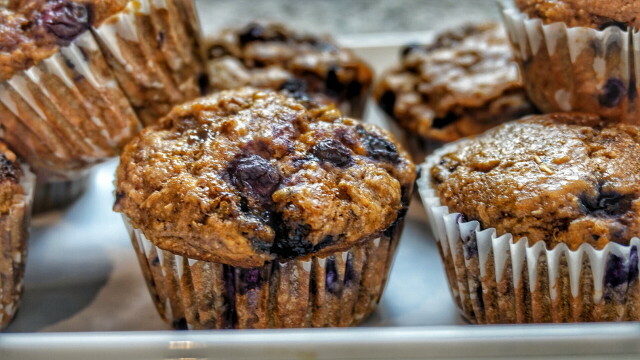 I don’t know why it took me so long to make blueberry muffins at home. These muffins are so easy to make and fast too—20 minutes tops. 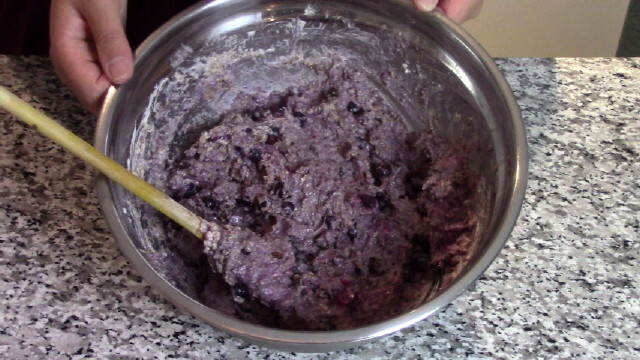 As for ingredients, I already had all the ingredients on hand—even the frozen blueberries! 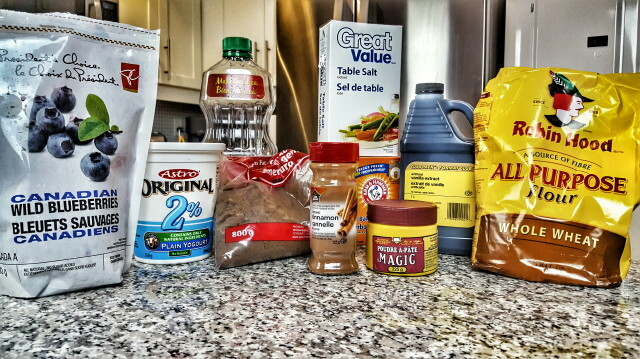 So after searching everywhere for a healthy recipe for whole wheat muffins that didn’t use a lot of sugar, was moist, and of course tasty, I finally found a recipe that I love! Ever since I baked my first batch, I find myself keeping these muffins in my purse (in a zip lock bag) whenever I’m off to work. I’m even munching on one as I type up this blog post! 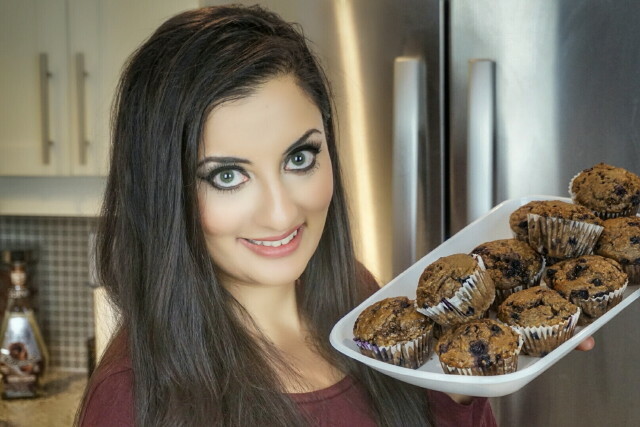 Try out the recipe below and use the muffins as a nice healthy snack in between meals. For best results, use frozen blueberries. I find it works better to keep the berries from running and turning everything blue/purple. 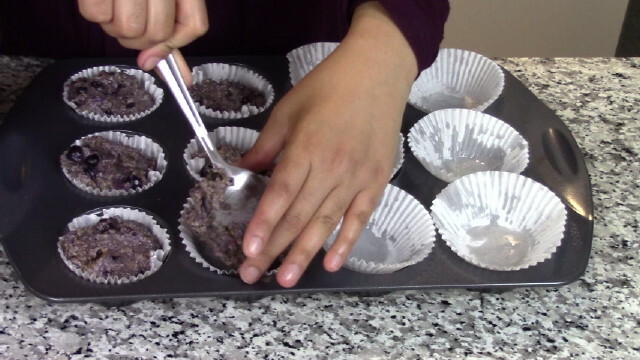 Remove the muffins and allow them to cool for about 5 minutes before transferring them to a separate rack or tray to cool. Let me know if you try these out at home. 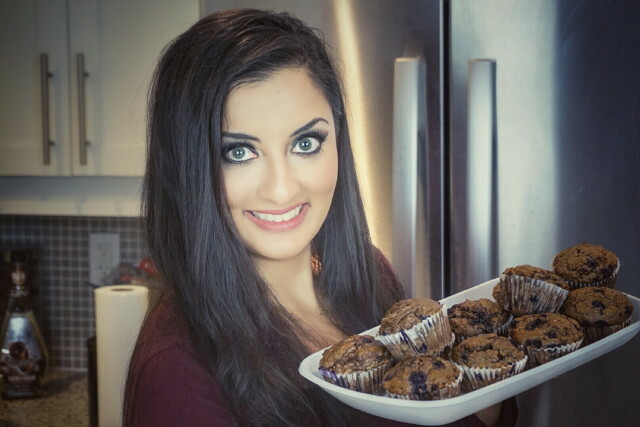 If you want to watch me bake these yummy muffins, watch the video below! 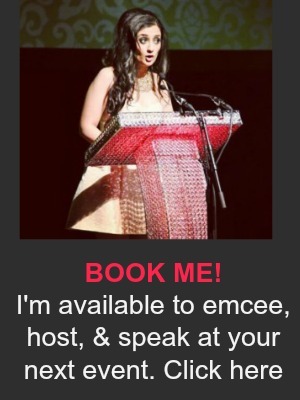 ← New to Canada? Check Out the TD “New To Canada” Banking Package!